This listing is for a 19 piece .PDF digital download. No products will be shipped. If you would like me to prepare this package for you please contact me. Please fill out the form when purchasing so we can get the babies name for customization. Also fill out form for food label customization if you would like the food label cards filled in by us. If you don't fill in the form you will be given blank food label cards. This package can also be customized for a birthday party. 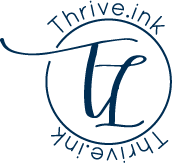 Please contact me at morgan@thrive.ink for more information. You will receive your digital download at the provided email within 5 business days. If you select rush order you will receive your file within 48 hours from time of purchase. All pages are formatted as 8 1/2" x 11". To open the file you will need Adobe Reader, which is available for free to download at www.adobe.com. File includes instructions on each page for each item. If you have questions, please let me know. If you prefer to purchase items individually, items are available a la carte in the shop. Matching invitation is available in the shop as well as coordinating thank you cards. This package is for your personal use only and is not for re-distribution or resale. Please let us know if you have any questions! Thanks!